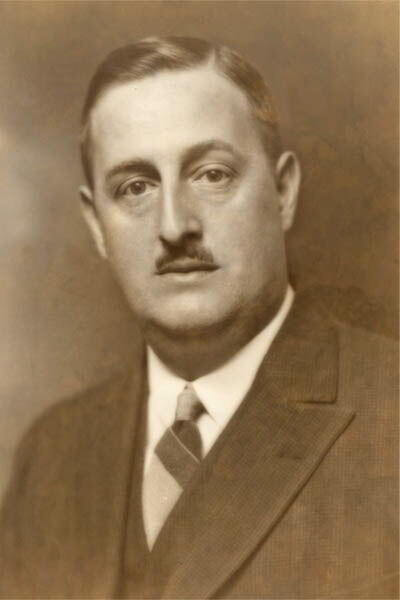 Theta Chi Fraternity is pleased to announce the call for first round nominations for the 2019 Reginald E.F. Colley Memorial Trophy, the highest honor that the Fraternity can bestow upon a collegiate member. The award is presented annually by the Grand Chapter to one collegiate member who best demonstrates distinguished service to alma mater, Fraternity, and chapter. Previous Colley Award recipients have been the “Best of the Best” among leaders within their chapters and on their campus. They have been the catalyst for the success of their chapter and have established themselves as true examples of fraternity men on their campus. First round nominations may be submitted by any member of Theta Chi Fraternity (including alumni). Nominations may also be submitted by appropriate non-members including Fraternity/Sorority life professionals, school faculty, community leaders, etc. After the first round has concluded, the Colley Award Committee will identify finalists who will be asked to submit a more detailed application. Finalists may also be asked to participate in one or more interviews. Nominees must be collegiate members of Theta Chi Fraternity in good standing at the time of their nomination. FIRST ROUND NOMINATIONS ARE DUE BY FEBRUARY 18, 2019. The selection committee will identify the 2019 Colley Award recipient and up to two runners-up by May 15, 2019. The award consists of an impressive plaque and carries with it a significant scholarship award from The Foundation Chapter of Theta Chi Fraternity, Inc. 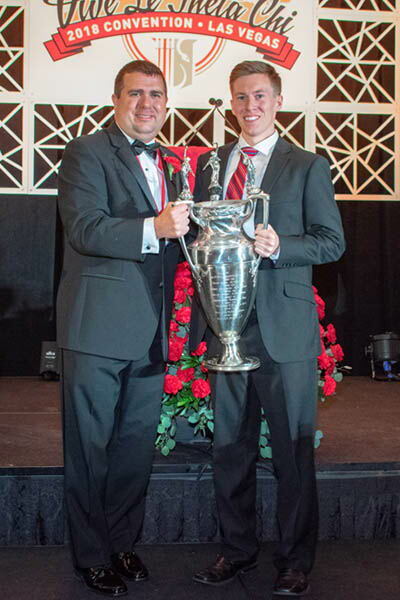 Nominate a Theta Chi collegian for the 2019 Colley Award! Captain Reginald E. F. Colley (Phi/North Dakota State University 1915) was a leader in his chapter and on his campus as a collegian, a leader in local civic and community organizations as an alumnus, and a respected army veteran of the First World War. He was elected to the Grand Chapter in 1925, serving as National Chaplain, but resigned for health reasons the following year. Brother Colley’s premature death has been attributed to wounds received during his military service; he served on the Western Front in the chemical weapons division, both instigating and receiving mustard gas attacks. He was the first Grand Chapter member to pass to the Chapter Eternal; he was only 39 years old when he died in 1927. To honor his memory, the Grand Chapter created The Reginald E.F. Colley Memorial Trophy in 1928. The Colley Memorial Trophy originally consisted of a large silver loving cup that was presented to the Grand Chapter in 1928 by Frederick W. Ladue (Iota/Colgate University 1912) following the death of Brother Colley. This trophy was retired in 1950, and remains on display at the International Headquarters. The originally trophy is still symbolically presented to the recipient who also receives an impressive plaque. Runners-up are presented with certificates.